Tree service in Round Rock, Texas providing trimming, removal, stump grinding, planting, cabling, arborist services, diagnosis and hedge trimming. Tree service in Round Rock, Texas providing trimming, removal, stump grinding, planting, cabling, arborist services, diagnosis and treatment of your trees. The tree service Round Rock homeowners have come to trust for years. Our certified arborists provide services to Round Rock, Tx and surrounding areas. We provide quality tree care that local homeowners trust and recommend. 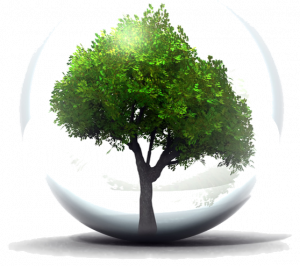 We have one goal in mind and that is to insure every client is more than satisfied with the tree services provided. This and our attention to detail makes for the powerful combination that keeps us number one for tree care service in the area. Our expert team members are certified arborists who are active in ISA in addition to strict adherence to ANSI standards. We make sure our climbers have many years of experience backing them and that they continue with ongoing training by our staff arborists. We pride ourselves on keeping current with the latest in urban forestry, an integral part of being able to provide the best service in Round Rock. Call us today for a free quote or to schedule time with an arborist for a free estimate! We service Hutto, Taylor, Round Rock, Texas and surrounding areas. We advise tree removal only as a last resort. We do everything we can to prevent such measures but often complete removal is necessary. Pruning and trimming your trees will help to add beauty to your property by adding life to your trees. Tree trimming is also an integral part to insuring a safe home environment. Removal or grinding of stumps to a depth of six inches below the ground surface is another service we provide. Trimmed hedges can provide curb appeal and add value to your home. We offer services for all types of hedges and shrubs in any stage of growth. We have beautiful and healthy trees for sale and we plant them with a guarantee for your piece of mind. Diagnosis and Consultations by a certified arborist are available to help provide solutions to sick or stressed trees. Our tree care services in Round Rock have been trusted by homeowners and commercial businesses for years. We have several certified arborists on our staff that can meet with you to discuss your tree service needs. Our goal is to provide a service that exceeds your expectations. We have beautiful and healthy trees for sale and we plant them with a 1 year guarantee. We advise on removal only as a last resort. We do everything we can to prevent such measures but often tree removal is necessary. Pruning and trimming your trees will help to add beauty to your property by adding life to your trees. Trimming is also an integral part to insuring a safe home environment. Removal or grinding of stumps as much as six inches below the ground surface is another service we provide. This will allow you to sod and/or build over the area as though a tree was never there. Thank you for giving Round Rock Tree Surgeons the opportunity to be your go to tree service in Central Texas. Our customers are the most important thing to us and we look forward to an ongoing relationship with you and your trees in the future.